Lowepro has updated its popular Pro Runner line of camera bags to include the new Pro Runner BP 350 AW II, Pro Runner BP 450 AW II and Pro Runner RL x450 AW II. 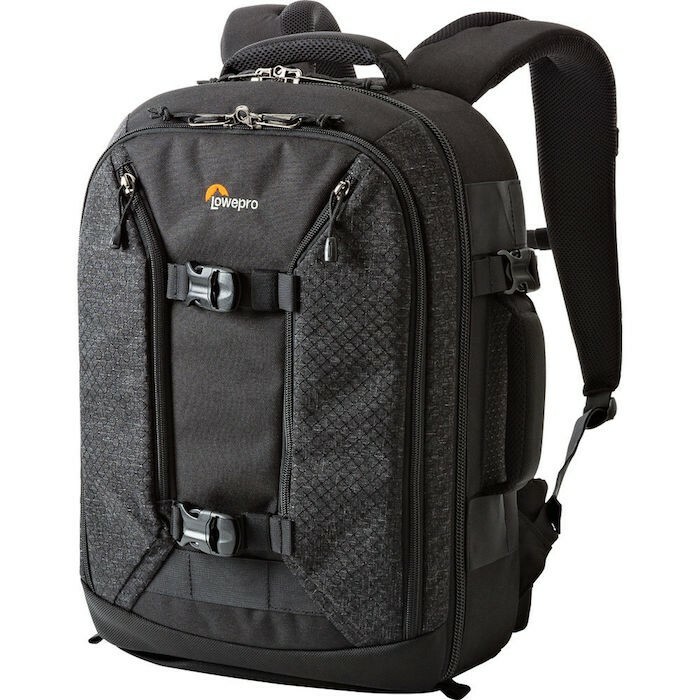 Lowepro has a new idea with these bags by building their features around zones inside the bags. The camera zone is outfitted with the MaxFit divider system to customize around your specific kit. 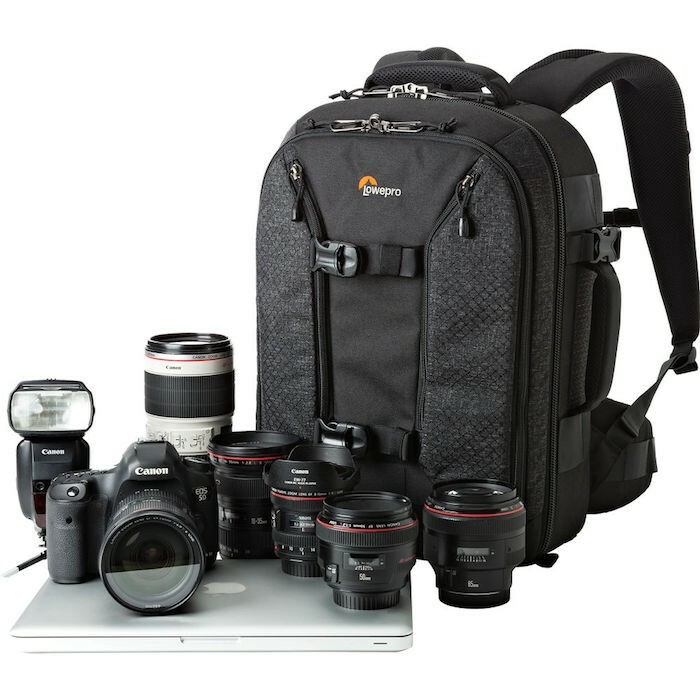 The BP 350 AW II is the smallest of the three bags and will carry a DSLR with 4-5 extra lenses or speedlights, along with a 13″ laptop, 10″ tablet, tripod and other accessories. 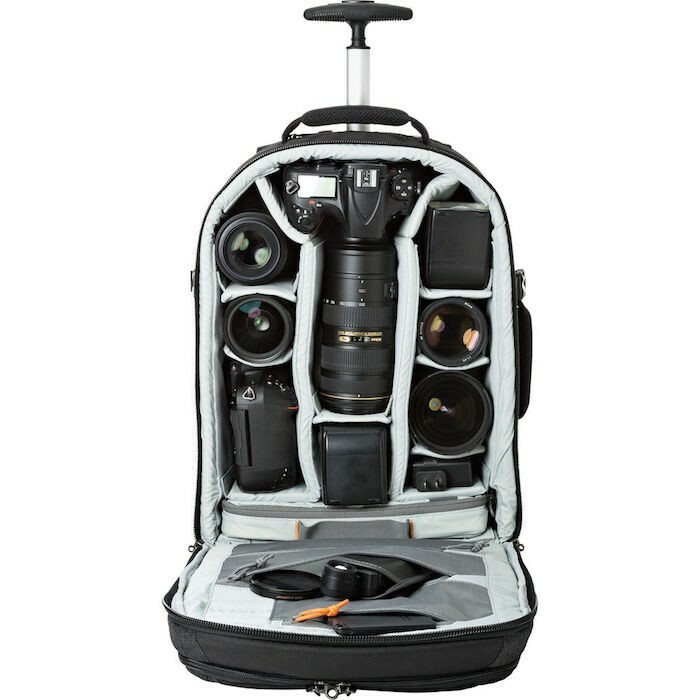 The two 450 bags will carry 2 pro DSLRs with 5-6 extra lenses, along with a 15″ laptop, 10″ tablet, tripod and other accessories. 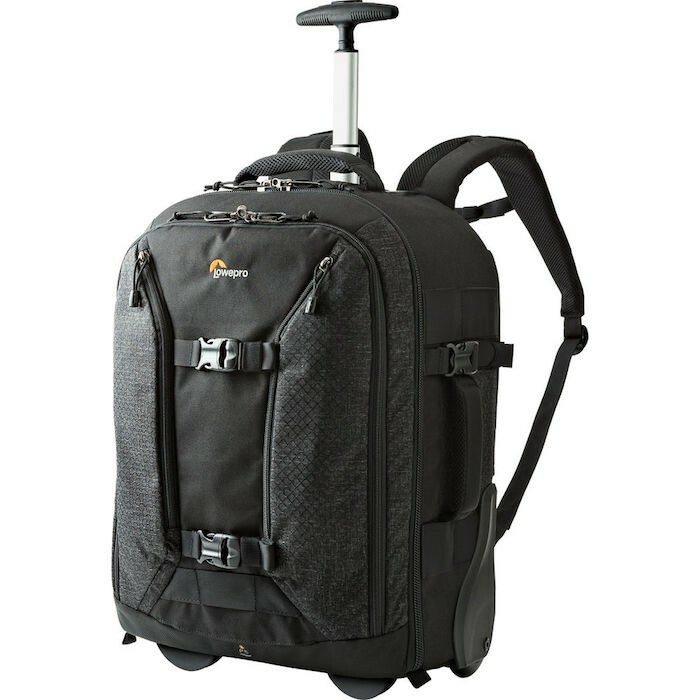 The laptop and tablets are stored in the device zone of the bags, which uses Lowepro’s CradleFit pockets that suspend and protect these devices. A removable accessory case stows items such as external hard drives, cables and such. The new bags all feature Lowepro’s Hideaway Tripod Mount, SlipLock attachment loops and an a rain cover in a zippered compartment. The Pro Runner RL x450 AW II features a retractable handle and rolling wheels. The x450’s should straps tuck-in and the waistbelt is removable to make using it as a roller bag more convenient. The Pro Runner BP 350 AW II, Pro Runner BP 450 AW II and the Pro Runner RL x450 AW II are available for $249.95, $299.95 and $399.95, respectively. Check them out here at B&H Photo.